Welp, as we all know by now, Kevin Knox did not make the Rising Stars team for the US. 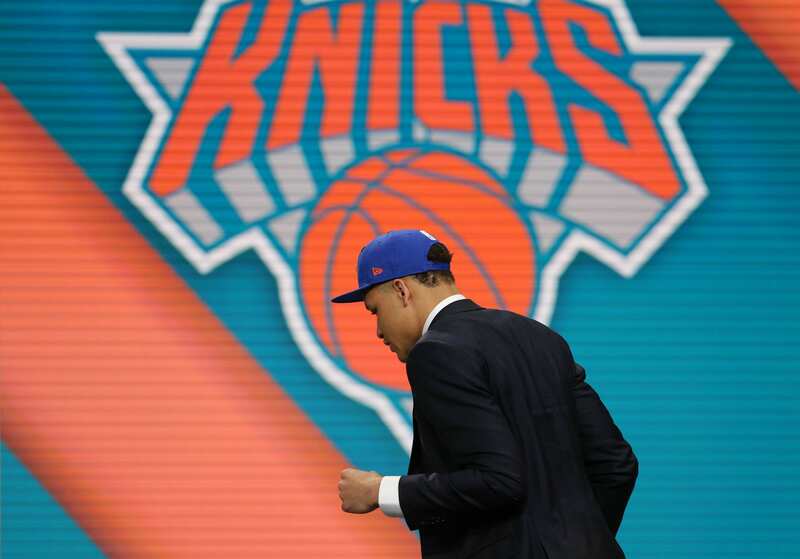 New York Knicks twitter went up in arms when the news broke. Many fans were saying, “rigged” and/or “how is Lonzo or Bagley in over Knox?” All I know is, this is not a good sign for Knicks fans. Knox had the fan base excited after his great performance in the Las Vegas summer league. The future looked bright for the 19-year-old. Then, he had a very shaky start to the season and the ankle injury didn’t help his case. However, a few months into the season, Knox became a different player and started to provide optimism once again. Knox started becoming more aggressive, confident and showing fans that he can be another young building block for this franchise. Don’t get me wrong, I like what I’m seeing from Knox, now, but I’ve got a bad taste in my mouth over his rising star game snub. Knox is averaging 12.3 points per and 4.2 rebounds a game. Marvin Bagley, 12.9 points and 6.6 boards. Despite, two higher rebounds per game, Knox should be in the game over Bagley. Knox has better upside over Bagley, period. Lonzo Ball is averaging. 9.9 points, 5.4 assists and 5.3 rebounds per contest. Knox should also be in over Ball, hands down. Althoug stats aside, this isn’t a good sign for Knicks fans. I know the fans are excited over Knox and his progression throughout the season, but him not being in this game is bad. You want to see your top lottery pick excel. I know it also means nothing, in a way, but if the league doens’t see him as a rising star then what should we think? It’s different for us because we’re Knicks fans and we watch Knox every game, but not being in this game is a major red flag. Again, we all know he should be in, but he’s not. Knox himself came out and said this is “motivation” for him, but that is anything else for us fans. Maybe it will be motivation for Knox and maybe he will continue to improve, but this hurts. He’s still young and has the potential, we all have to take a step back on Knox. Maybe the NBA knows something that we don’t, with the Knox snub? Maybe the they overlooked him and I sure hope they did, so for now, I’m holding my excitement for the rookie, for the moment.